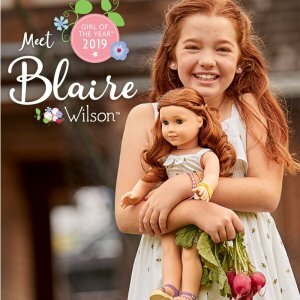 American Girl offers Girl of The Year 2019 Blaire. Free shipping on orders $100+ via coupon code FSMAR19 . Free shipping on select items，such as WellieWishers Dolls.